A great photo capture of Sage Franch's selfie with Canada's Prime Minister. Story written by soon-to-graduate Bachelor of Computer Science student, Sage Franch of the Faculty of Computer Science at Dalhousie University. 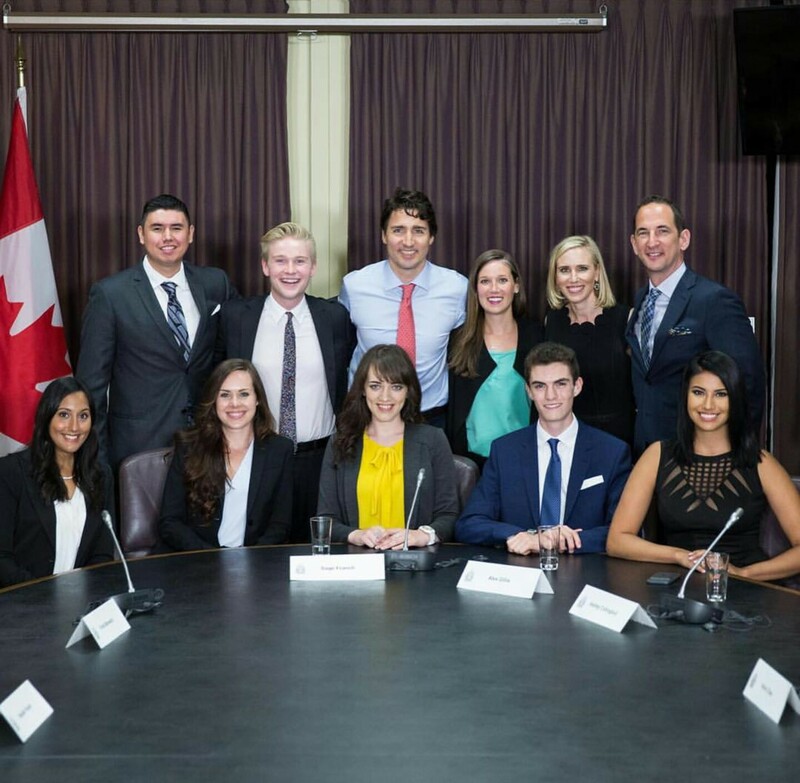 On June 1, 2016, I had the honour of being one of eight young Canadians to attend a private meeting in Ottawa with Prime Minister Justin Trudeau and Instagram COO Marne Levine. In an informal round-table discussion, we discussed issues of education, women’s rights, technology, aboriginal rights, and diversity in the workforce. In addition to being the Prime Minister, Justin Trudeau is also the Minister of Youth, so he is invested in supporting youth and hearing from youth representatives so he can work to make Canada better and more supportive of young people, and his passion for these causes was evident through our discussion. As a recent student at Dal CS, I am proud to have been able to represent our student body in this way and raise issues that impact us. My past roles as co-president of WiTS and as an early member of CoReCS have enabled me to understand a broad spectrum of the issues we face as young technologists, and I am honoured to have had the opportunity to share our story with Prime Minister Trudeau. Read Sage’s personal story at TrendyTechie.ca. Read more stories about students in the Faculty of Computer Science.